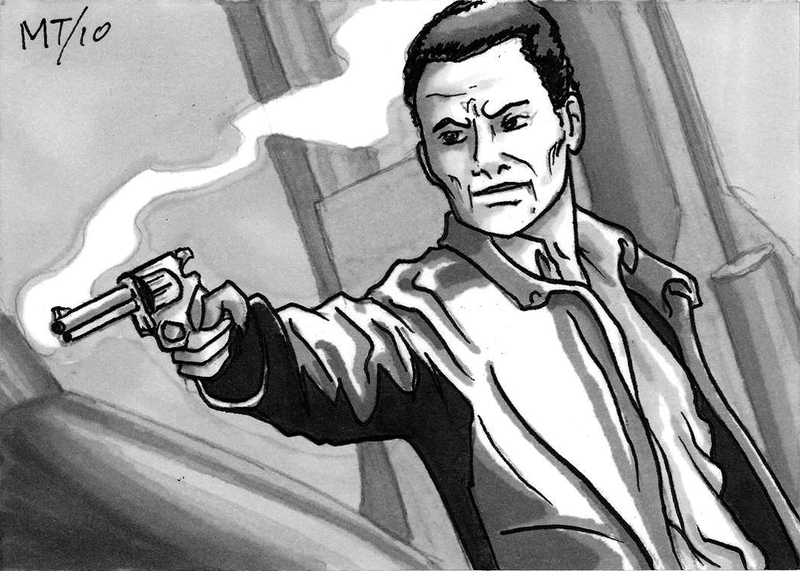 Welcome to the Store here at the Daily Sketch. Feel free to look through the Gallery below. If you see something you like the price is listed below that picture. I should note that the price does not include shipping; shipping costs will be determined at the time of sale based on where it is going and how you want it shipped, all shipping costs are on the buyer. Everything on this page is for sale at a first come first service basis. So if you are interested in something email The Daily Sketch Store All transactions will be handled through Paypal. Death Card PSC set- $15.00. Sherlock Holmes Set PSC- $10.00. Dolls ‘n Dames She was worth a Stare PSC- $5.00. Dolls ‘n Dames Exotic Beauty PSC- $5.00. 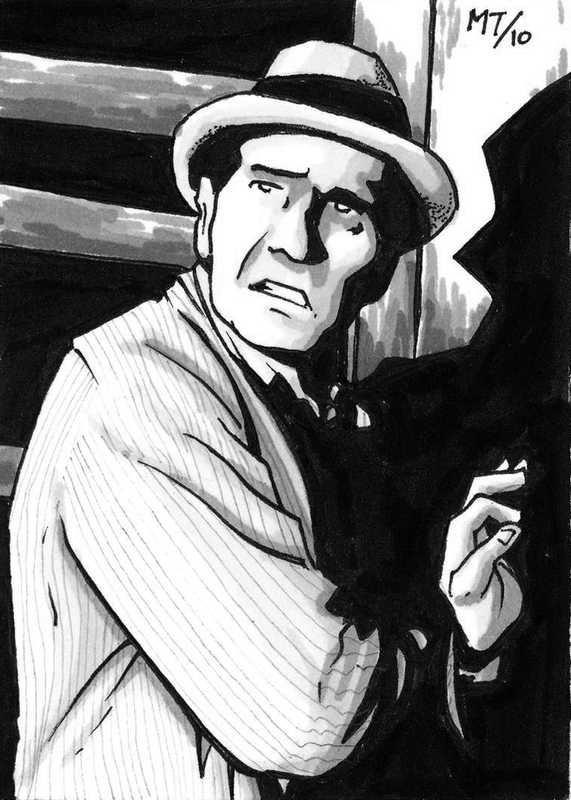 31 Sketch Days of Halloween 2010- Carl Kolchak PSC- $5.00. 31 Sketch Days of Halloween 2010- Dracula PSC- $5.00. 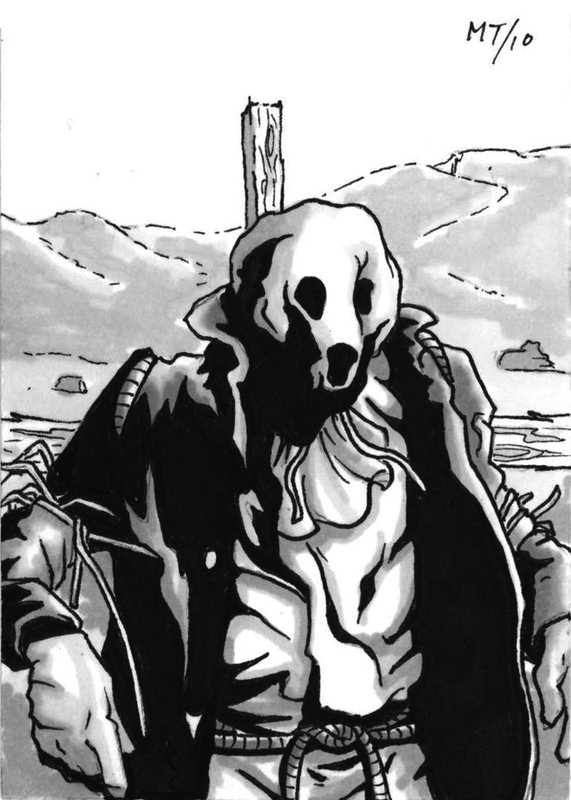 31 Sketch Days of Halloween 2010- Van Helsing PSC- $5.00. 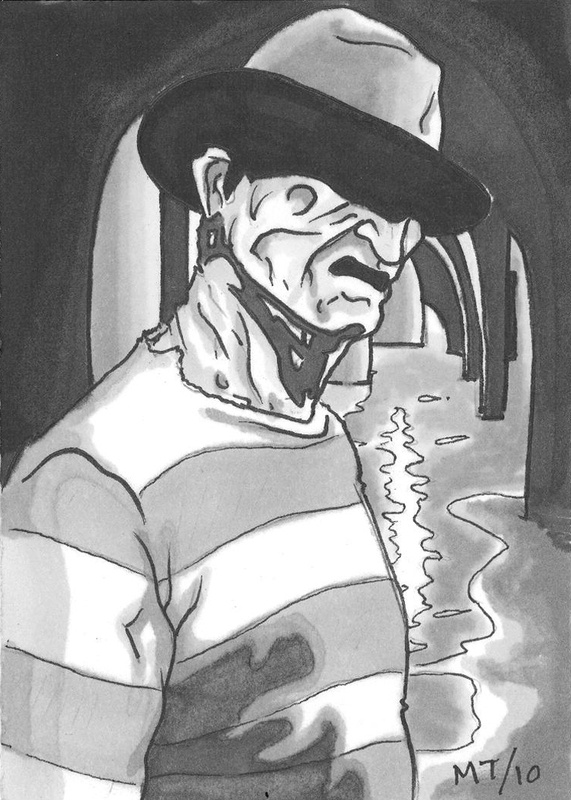 31 Sketch Days of Halloween 2010- Freddy Krueger PSC- $5.00. 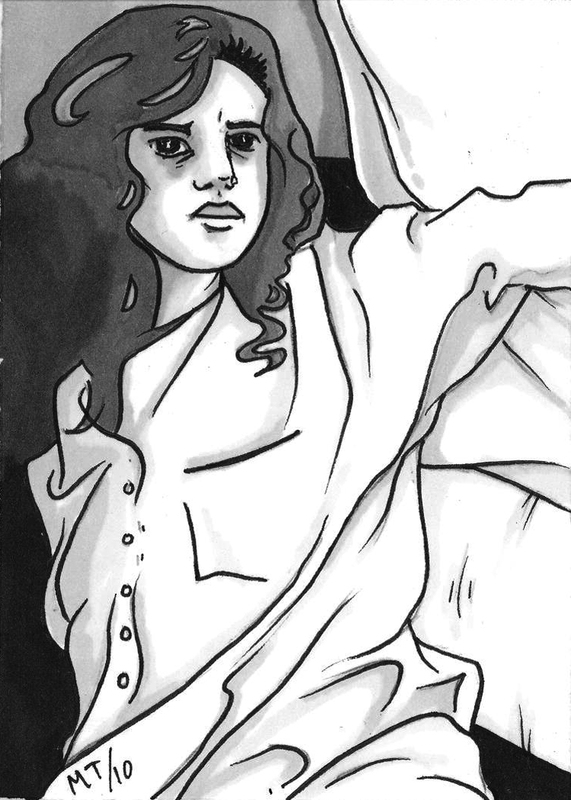 31 Sketch Days of Halloween 2010- Nancy Thompson PSC- $5.00. 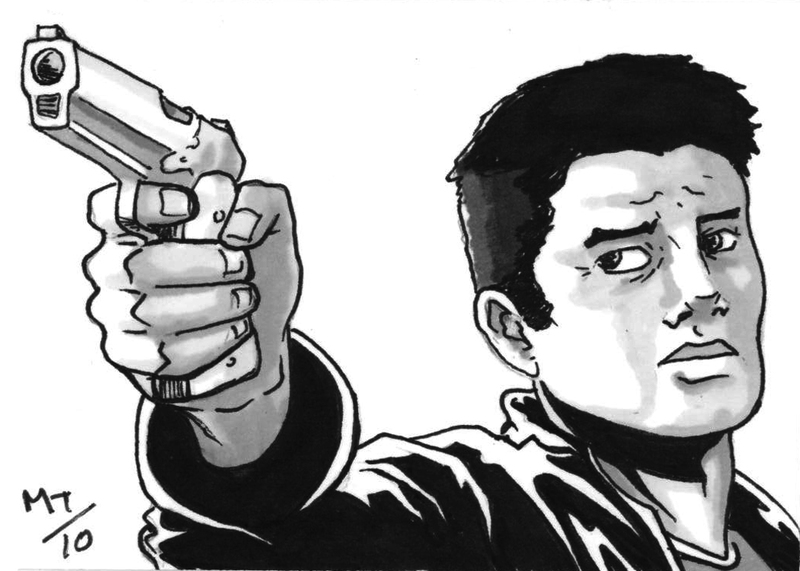 31 Sketch Days of Halloween 2010- Rick Grimes PSC- $5.00. 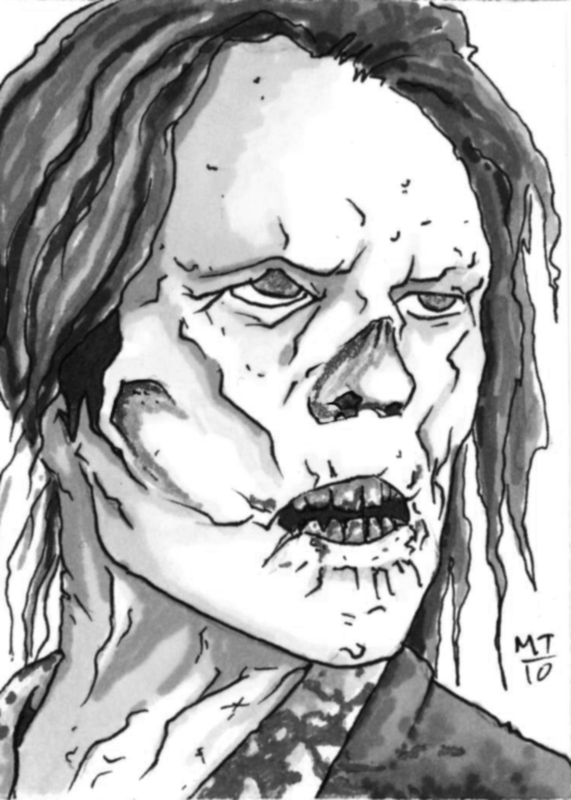 31 Sketch Days of Halloween 2010- Zombie Walker PSC- $5.00. 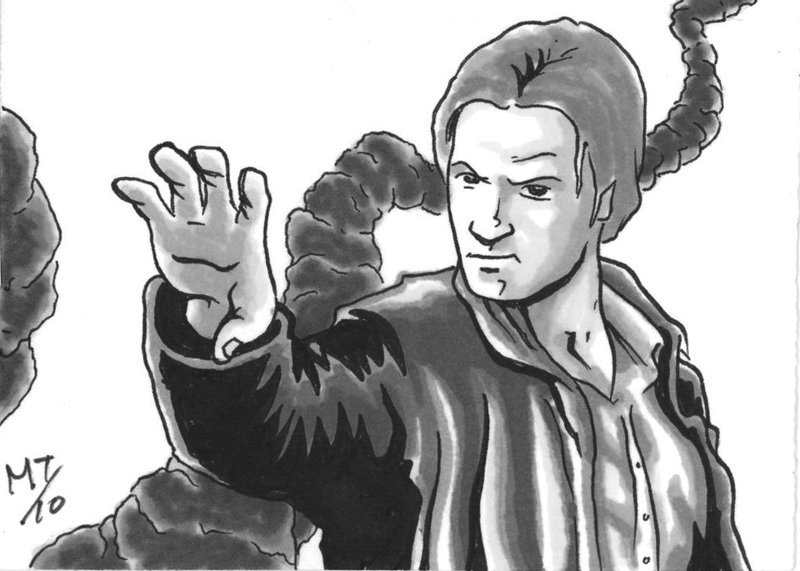 31 Sketch Days of Halloween 2010- Supernatural Sam Winchester PSC- $5.00. 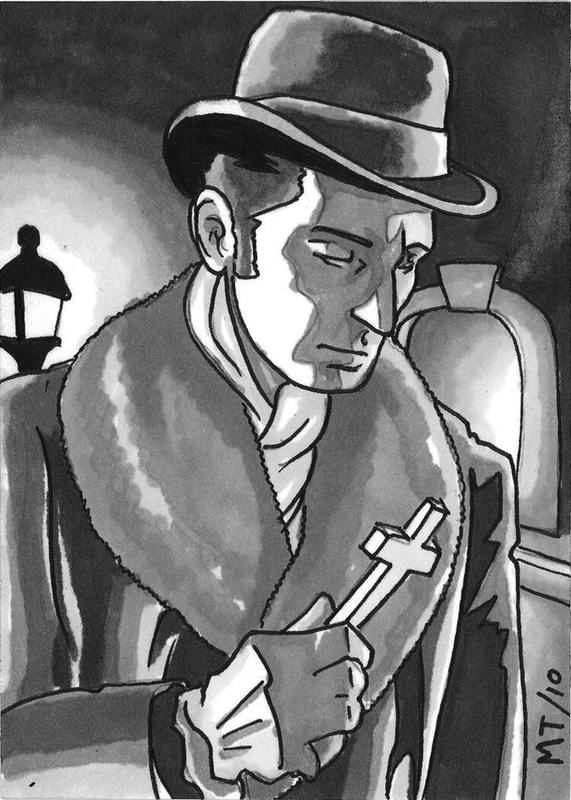 31 Sketch Days of Halloween 2010- Supernatural Dean Winchester PSC- $5.00. 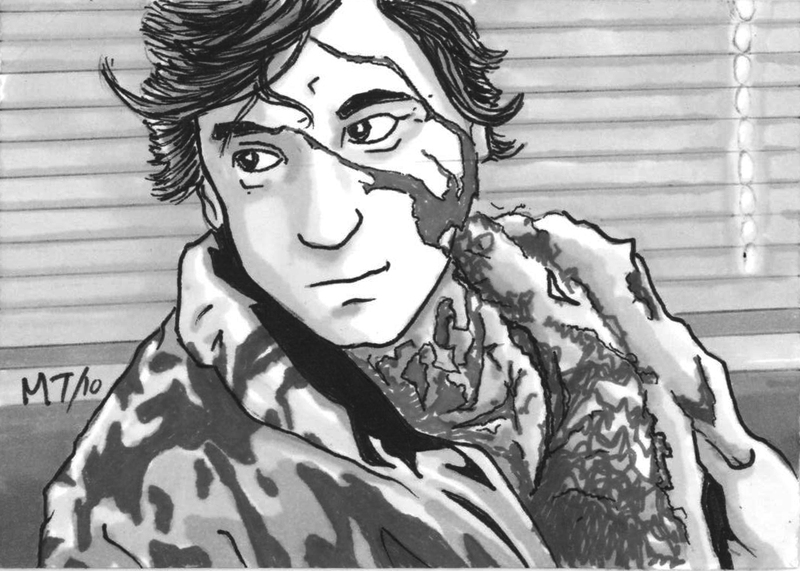 31 Sketch Days of Halloween 2010- American Werewolf in London- Jack PSC- $5.00. 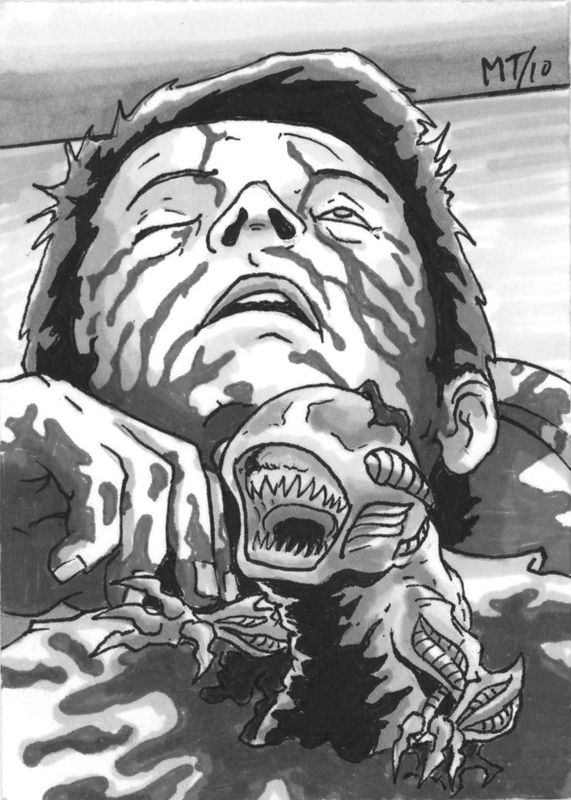 31 Sketch Days of Halloween 2010- Alien PSC- $5.00. 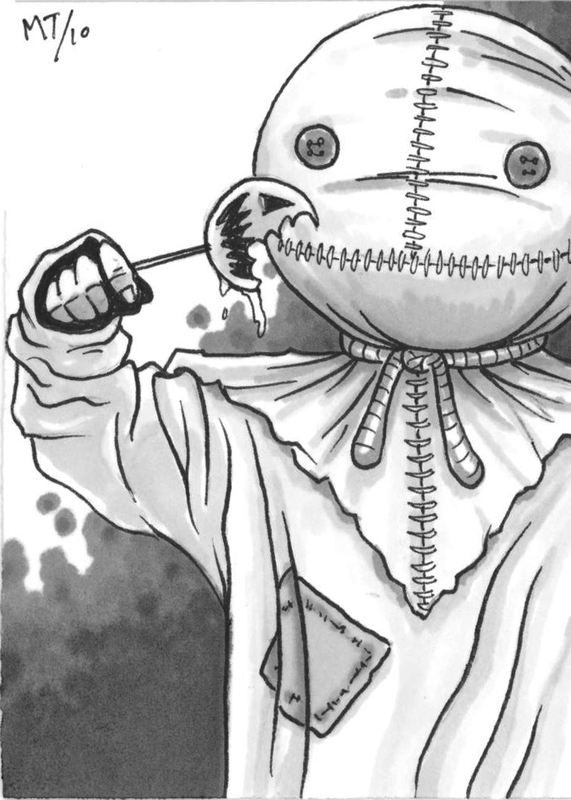 31 Sketch Days of Halloween 2010- Trick ‘r Treat-Sam PSC- $5.00. 31 Sketch Days of Halloween 2010- Dark Night of the Scarecrow- Bubba PSC- $5.00. 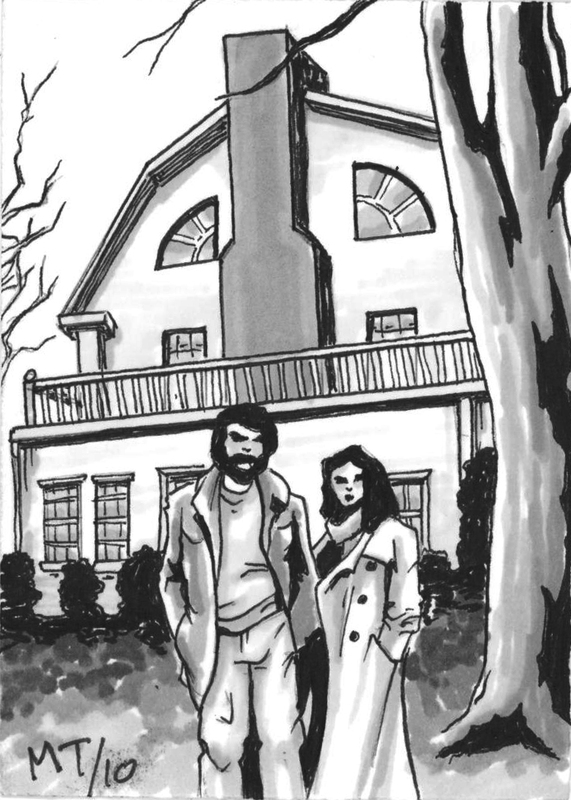 31 Sketch Days of Halloween 2010- The Amityville Horror- House PSC- $5.00. 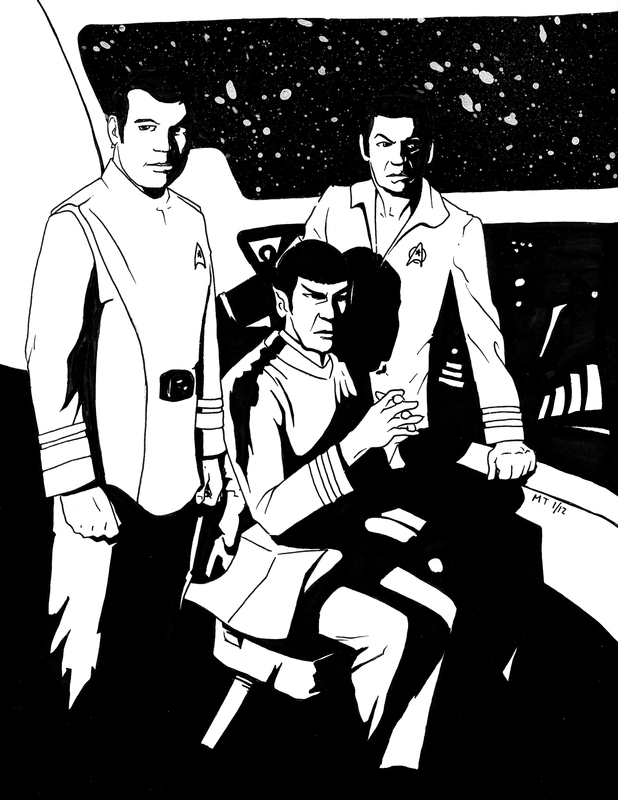 Star Trek- Kirk, Spock and McCoy ST VI- 9×12 B&W $15.00. 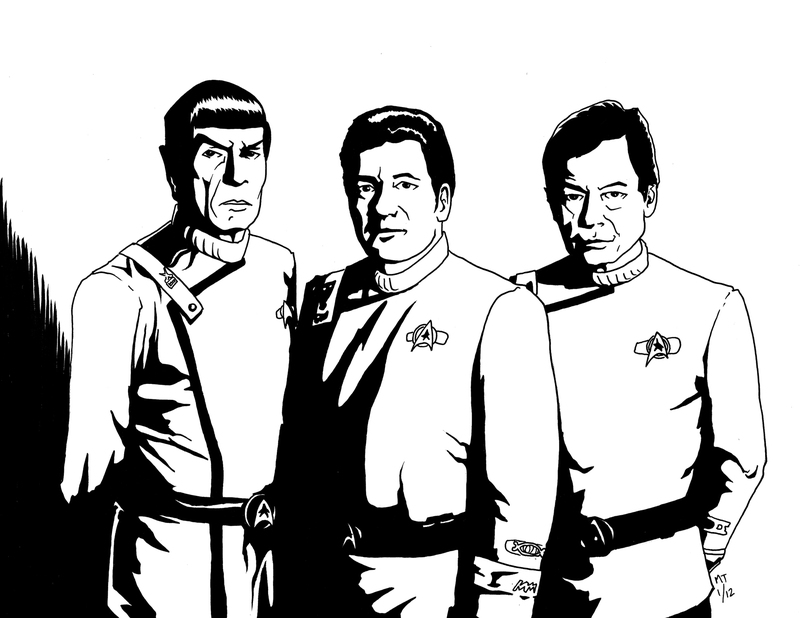 Star Trek- Kirk, Spock, McCoy- ST the Motion Picture 9×12 B&W- $15.00. 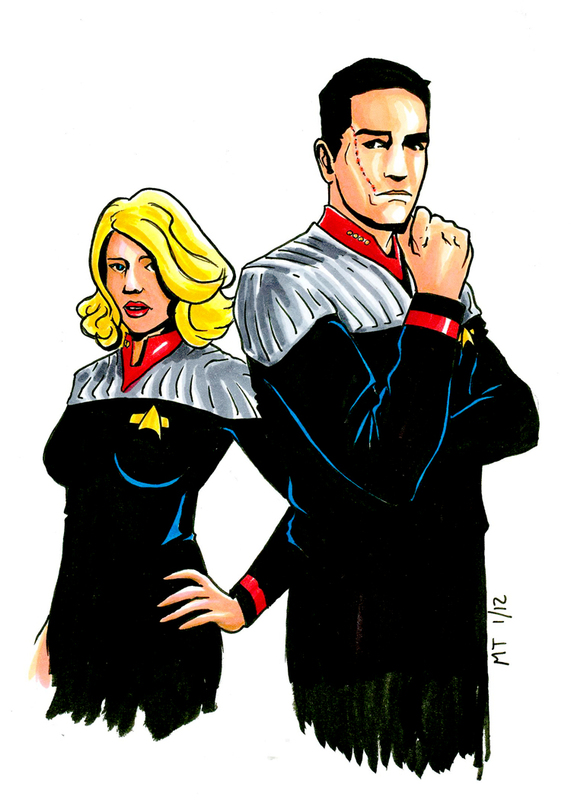 Star Trek- Calhoun, Shelby- ST New Frontier 5X7 Color- $15.00. Star Trek- Suliban 4X6 Color- $10.00. 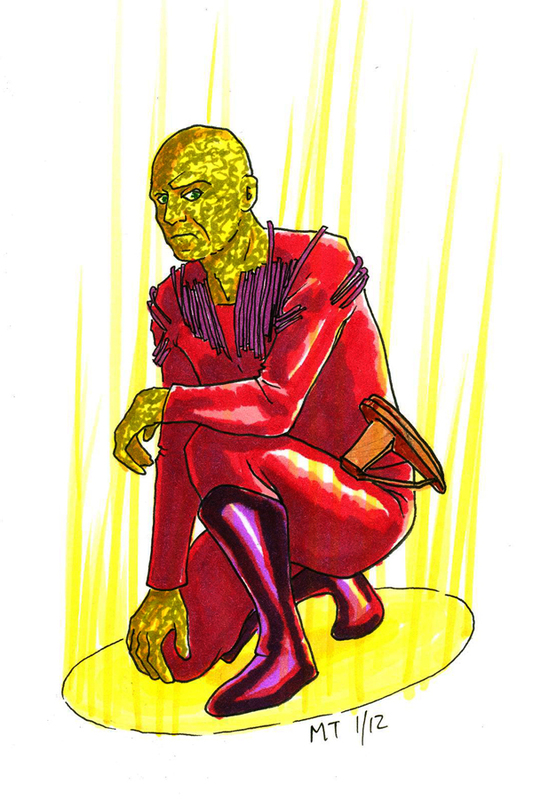 Star Trek- Deltan 4X6, Color- $10.00. 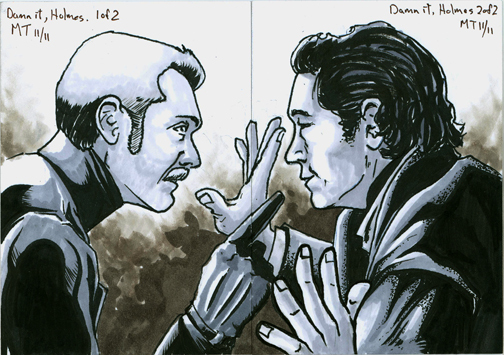 Star Trek- Orion and friends, 4X6, Color- $15.00. 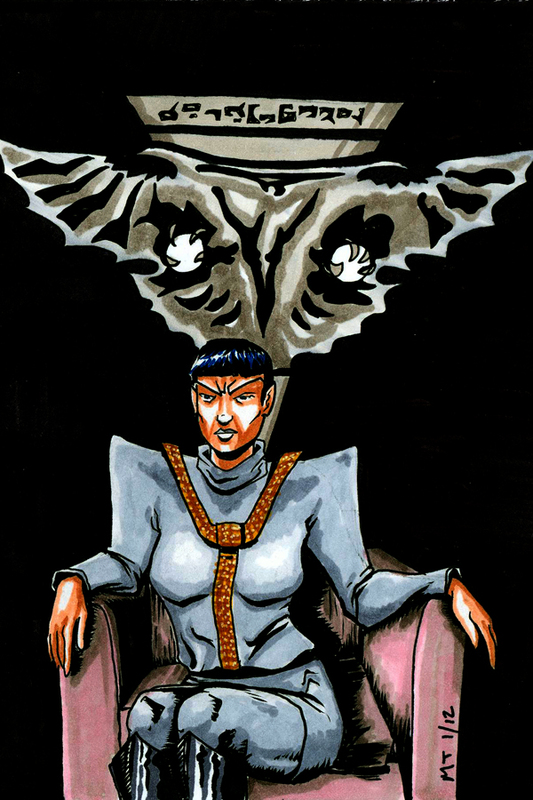 Star Trek- Romulan 4X6, Color- $10.00. 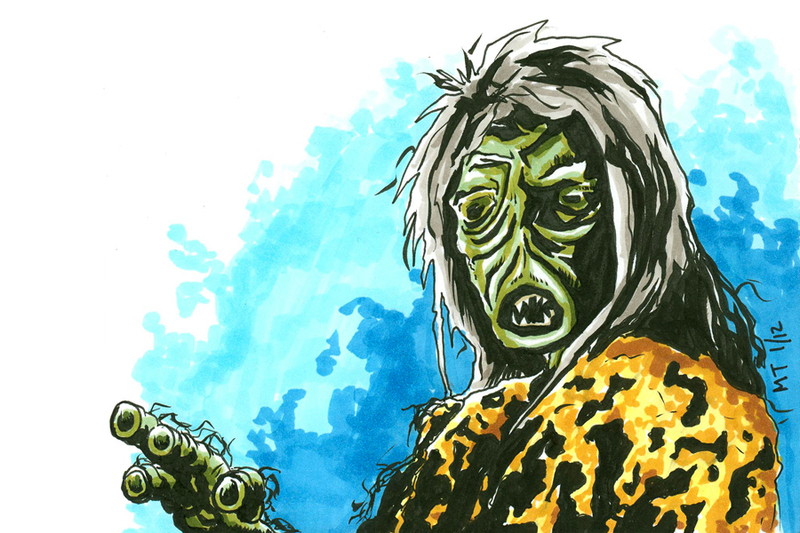 Star Trek- M-113 Creature, the Salt Monster 4X6, Color- $10.00. 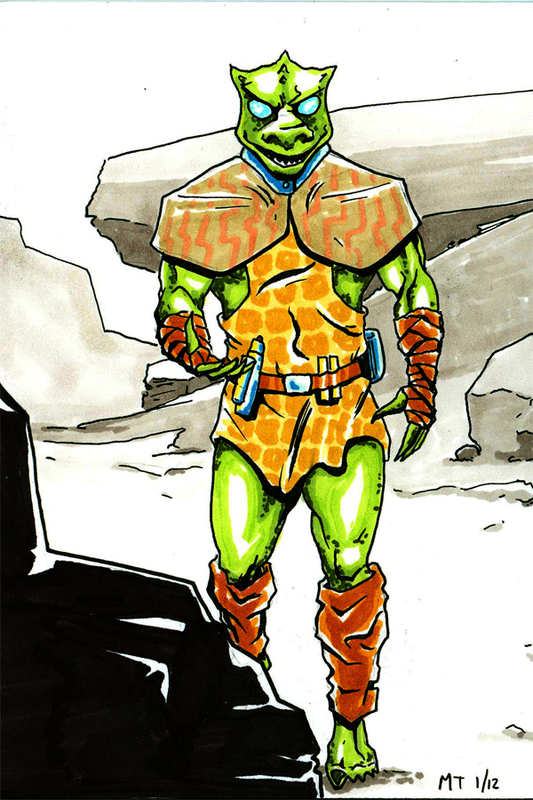 Star Trek- Gorn 4X6, Color- $10.00. 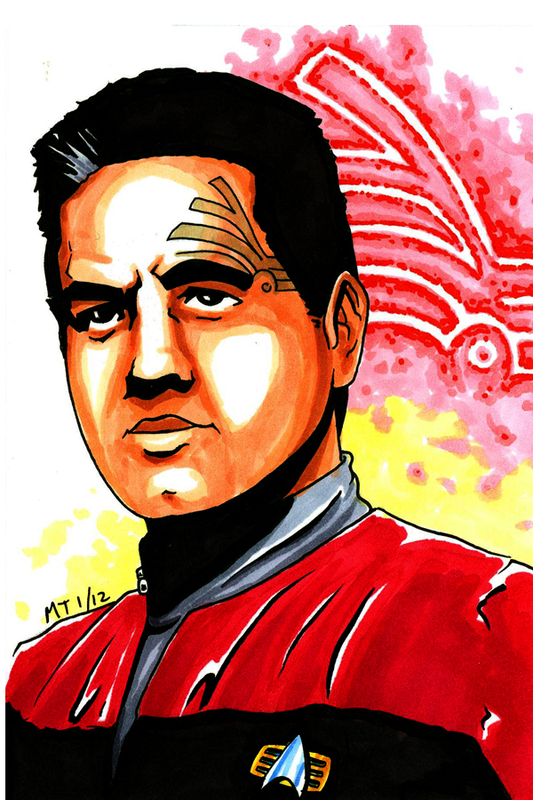 Star Trek- ST: VOY Frist Officer Chakotay 4X6, Color- $10.00. 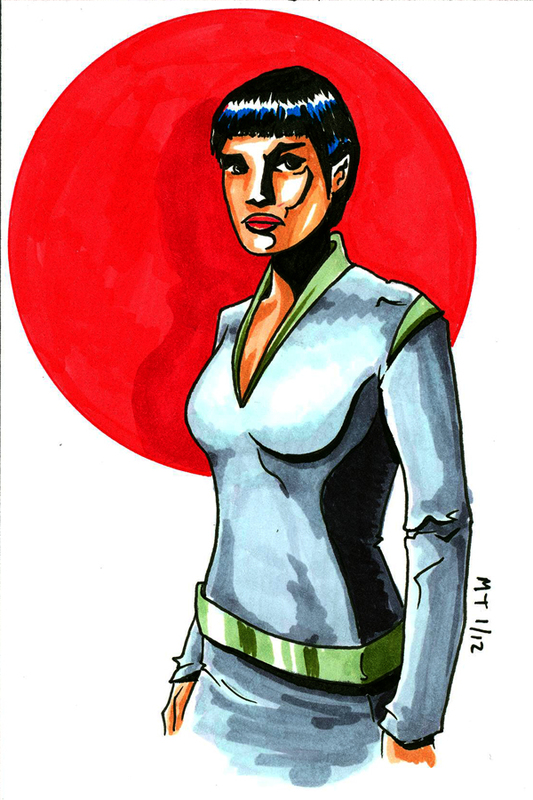 Star Trek- ST: DS9 First Officer Kira Nerys 4X6, Color- $10.00. 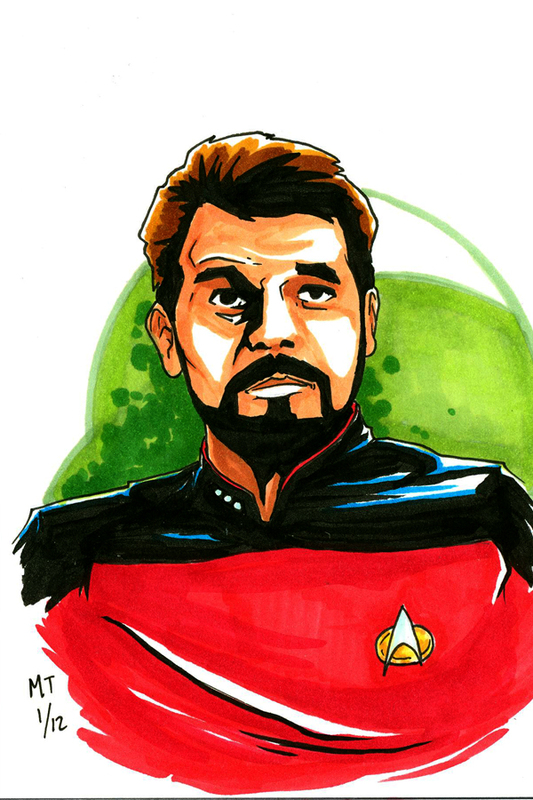 Star Trek- ST: TNG First Officer William Riker 4X6, Color- $10.00. 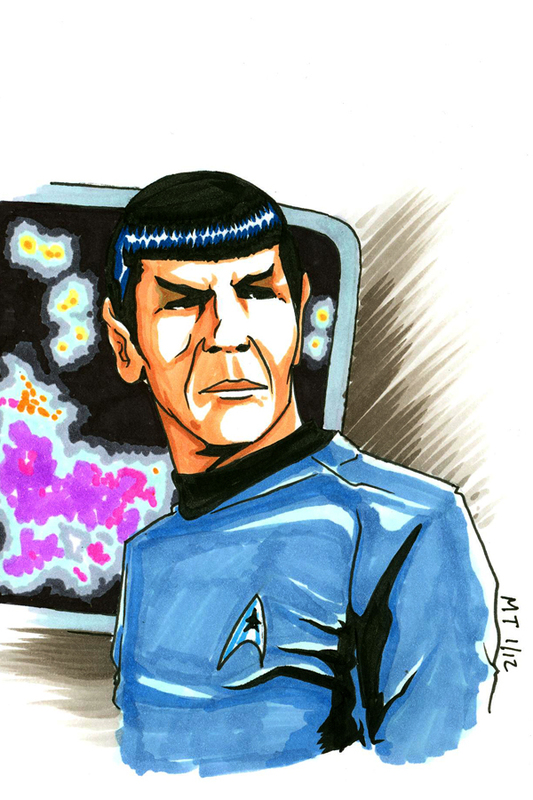 Star Trek- ST: TOS First Officer Spock 4X6, Color- $15.00. 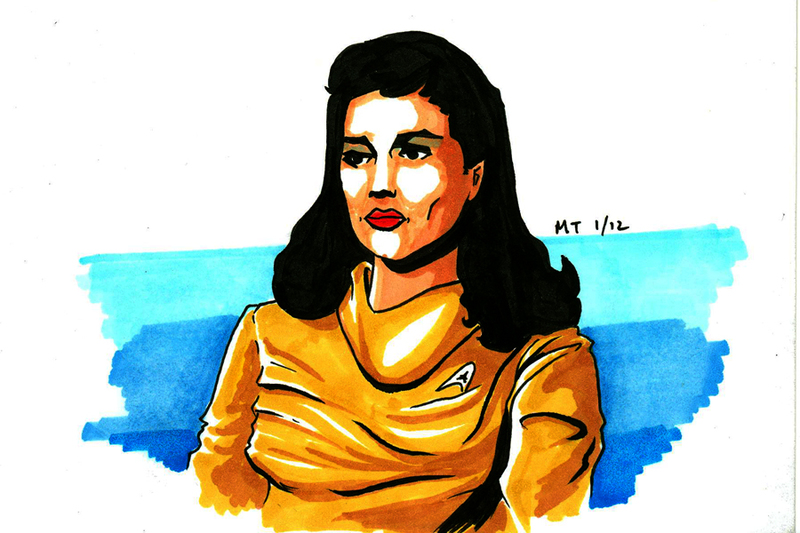 Star Trek- ST: TOS First Officer Number One 4X6, Color- $10.00. 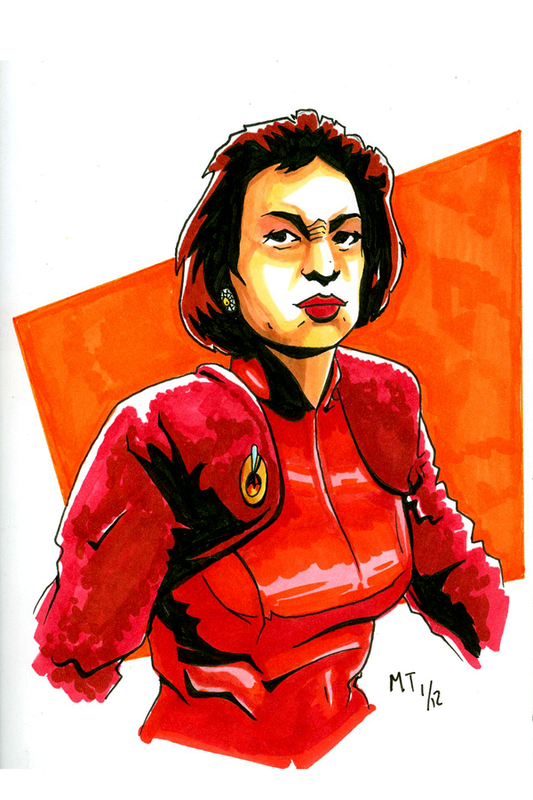 Star Trek- ST: ENT First Officer T’Pol 4X6, Color- $10.00. 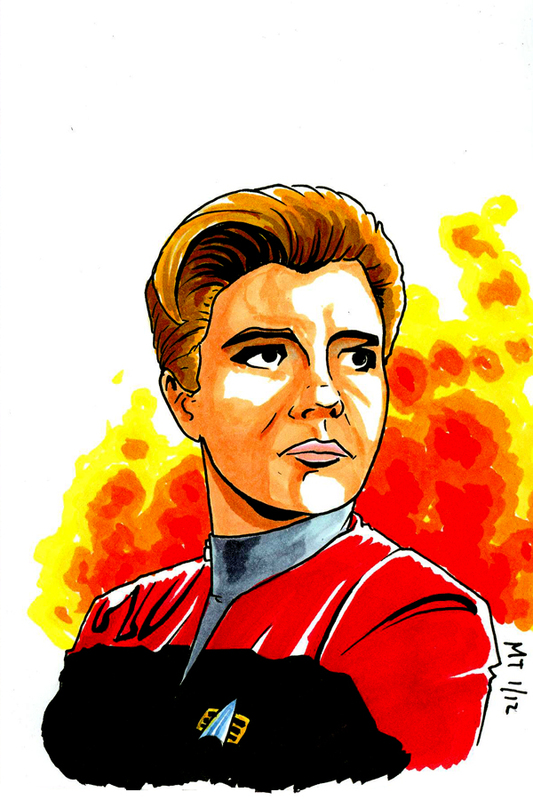 Star Trek- ST: VOY Captain Kathryn Janeway 4X6, Color- $10.00. 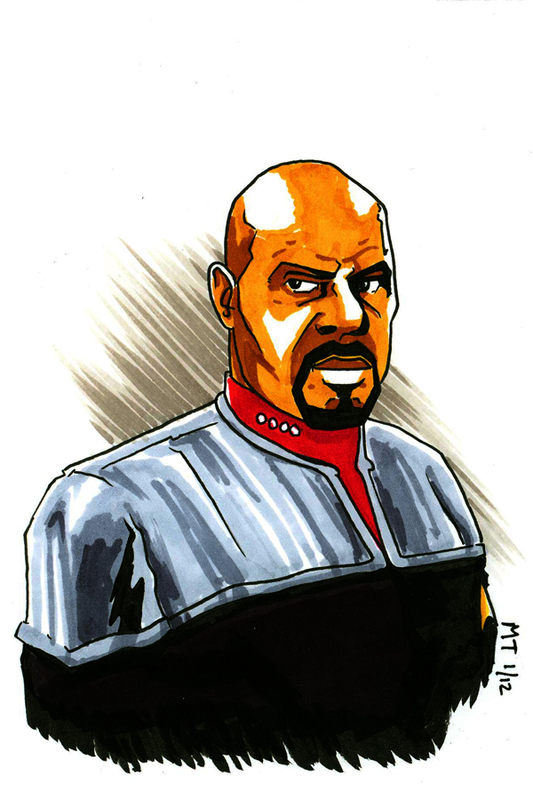 Star Trek- ST: DS9 Captain Benjamin Sisko 4X6, Color- $15.00. 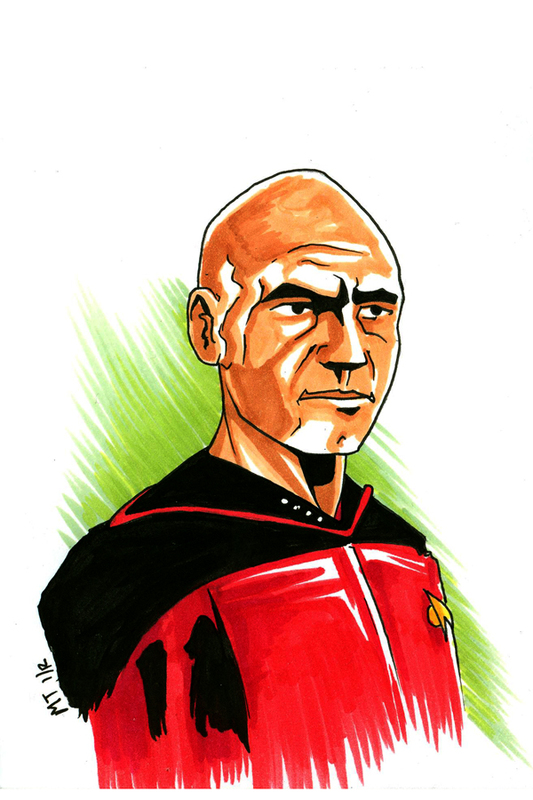 Star Trek- ST: THG Captain Jean-Luc Picard 4X6, Color- $10.00. 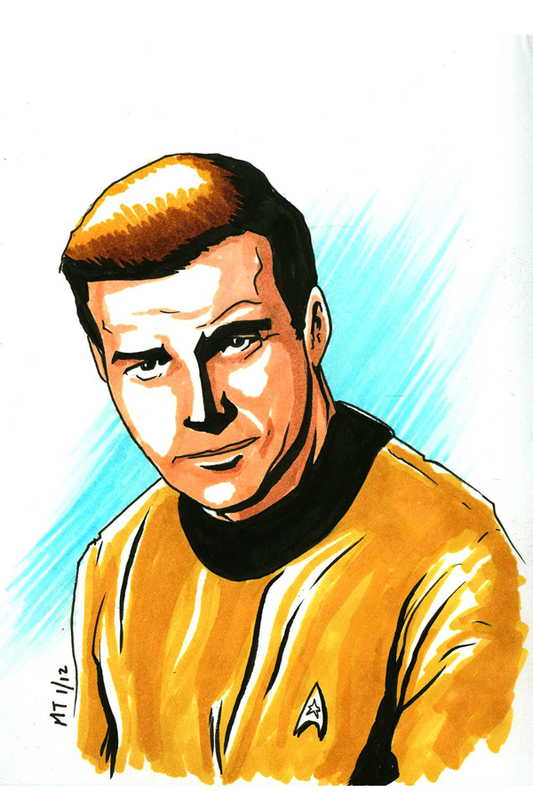 Star Trek- ST: TOS Captain James T. Kirk 4X6, Color- $15.00. 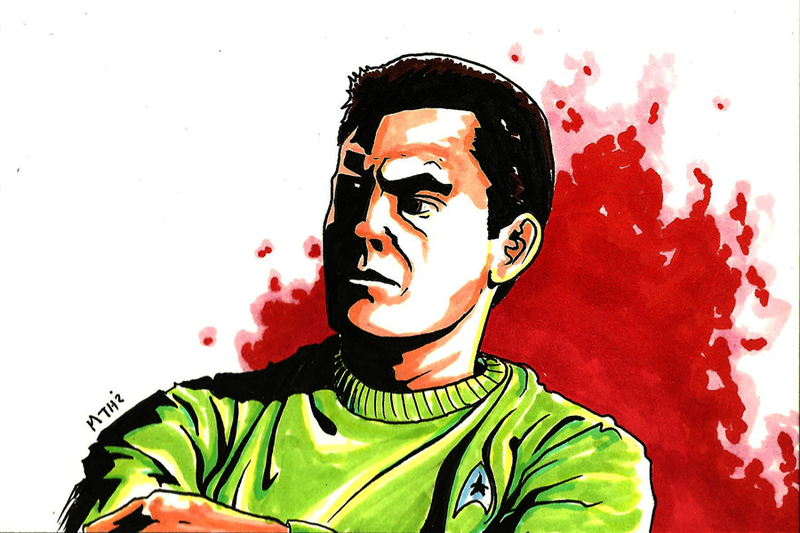 Star Trek- ST: TOS Captain Christopher Pike 4X6, Color- $10.00. 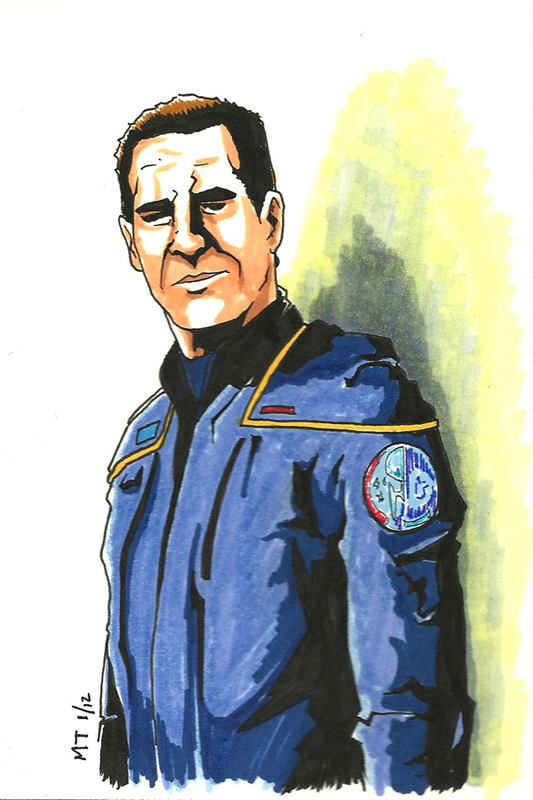 Star Trek- ST: ENT Captain Jonathan Archer 4X6, Color- $15.00.